ST. GEORGE – The search continues Saturday for 5-year-old Jerold Joseph Williams who was reported missing Thursday by his family while camping in an area about 12 miles south of Jacob Lake in Arizona’s Kaibab National Forest. Coconino County Sheriff’s Office posted a notice Friday night on its Facebook page that the case is still active and ongoing with ground and air resources. The post noted that radio and phone communication is limited in the search area, which may account for limited updates. The Jacob Lake camping area where Jerold went missing is located near Highway 67 off of Forest Service Road 241. The typical Kaibab National Forest area is high mountainous area, Kane County Director of Emergency Services Alan Alldredge said. From what members of his Search and Rescue Team who assisted in the search Friday said, it sounds like pretty heavy forest, Alldredge said, maybe a lot of downed trees in the area that made it kind of hard to work their way through. 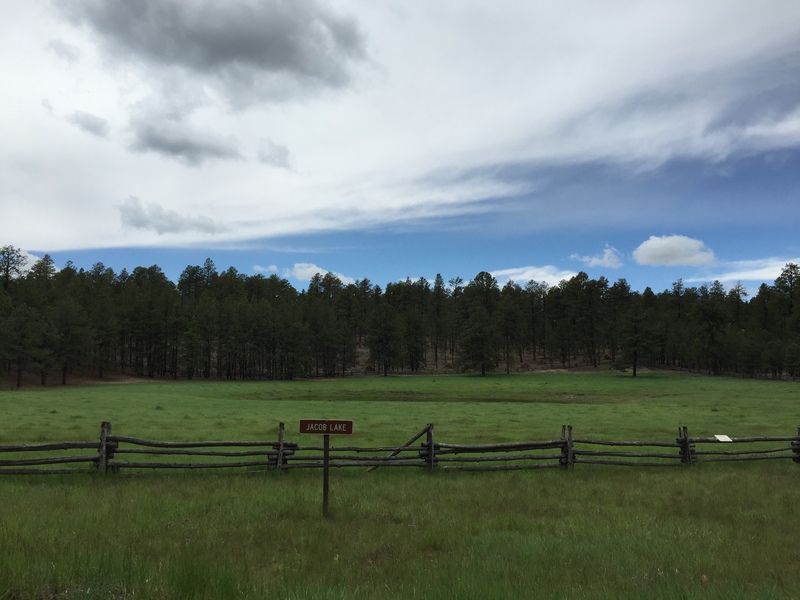 According to a Friday release from the Coconino County Sheriff’s Office, Jerold and his mother were approximately 100-200 yards from the unimproved campsite they were using. Jerold was chasing grasshoppers when she lost sight of him. The group of 15-20 family members and friends searched for Jerold for four hours before calling authorities at 5:30 p.m. MST., according to the Coconino County Sheriff’s Office release. A massive search was deployed including ground and air efforts by several agencies. Many have reached out to the authorities offering to lend assistance in a variety of ways. There has been an outpouring of offers from people throughout Arizona and nearby communities offering to assist. We want to express our gratitude for the offers, but at this time we are not in need of additional searchers. If we need additional resources, we will certainly reach out. Kane County Director of Emergency Services Alan Alldredge said that a crew of about 16-17 members of nearby Kane County’s Search and Rescue team assisted in the search effort Friday. At the request of incident command, a crew of four members of Kane County’s Search and Rescue team with three volunteers were sent Saturday to help in the effort. Alldredge said he saw two of the Air Force’s Black Hawk helicopters fuel up in his county Saturday and expects they are continuing to offer air support. The aircraft are equipped with FLIR thermal imaging equipment that use a kind of heat sensor to detect a person. That imaging was inhibited the first night, Alldredge said, because the trees in the forest retained too much of the daytime heat. Jacob Lake temperatures Thursday were 88 degrees during the daytime with a low of 62 degrees at night, according to Accuweather.com. Friday’s temperatures dropped to 72 degrees during the day and 56 degrees at night. Saturday is partly sunny and warmer at 73 degrees with a forecasted nighttime low of 48 degrees. No indication has been reported that authorities suspect foul play, but preserving evidence would be something any command of a search and rescue operation would consider, Alldredge said. Could the child have fallen prey to an animal? Alldredge said he would hate to speculate; there could be bears, but Jacob Lake is not a heavy bear area. Mountain lions will generally avoid a person unless they or their offspring are threatened, he said. Animals are always a possibility but, he said, he thought that would be way down the list in this case. Agencies assisting in the search include, among others, sheriff’s deputies and search and rescue ground teams from several counties, two search dogs and their handlers from Coconino County Sheriff’s Office, Arizona Department of Public Safety’s Highway Patrol, Arizona Game and Fish law enforcement officers, Forest Service fire crews, Bureau of Land Management resources and Nellis U.S. Air Force Base helicopter crews. Washington County Search and Rescue team has been requested to and plans to join the search effort Sunday, Sheriff’s Deputy Darrell Cashin said at 1:40 p.m. MDT Saturday. There is no Amber Alert issued in this case as Amber Alert criteria include abduction. Comment and update from Coconino County Sheriff’s Office has not been immediately available Saturday as this report is published. Updated 2:30 p.m. with input from Washington County Sheriff’s Deputy Darrell Cashin.